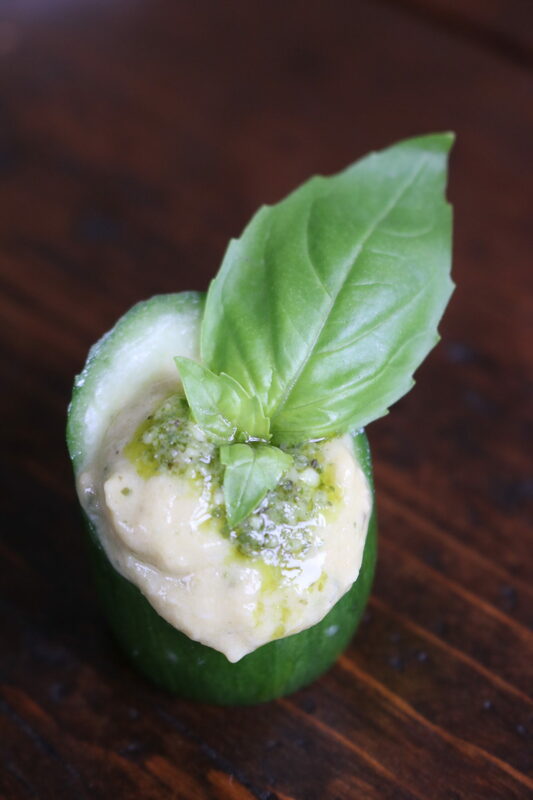 This time of year the cucumbers are overflowing in our garden… here’s a seasonal and delicious way to make them your fav new summer picnic app… Roasted Garlic Pesto Hummus Cucumbers! Whisk together the olive oil, mashed roasted garlic, salt, lemon juice, pesto, and fresh garlic. Fold in hummus until well combined. Cut mini cucumber into approximately 1 1/2 inch slices and hollow out the center using a small melon baller. 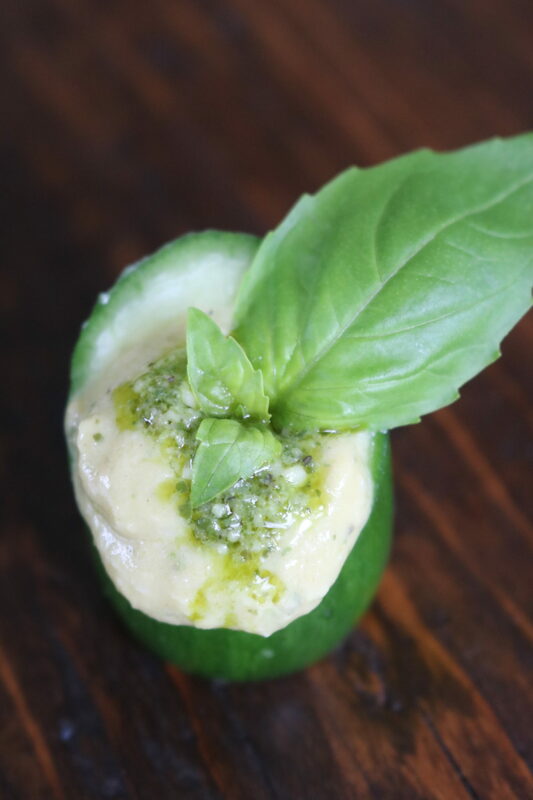 Fill each cucumber with the hummus and top with a small dollop of pesto. Garnish with a basil leaf. Enjoy!